Economically, an acquisition can be a good way for a company to expand. The buyer gets immediate new sources of revenue and, sometimes, new geographic markets or product lines that the seller has built up over time. There is a great deal that must be looked at in the transaction to determine the financial health of seller as well as the risks and liabilities of the purchase. There are so many moving parts that it may seem a bit facetious to compare it to buying a car (although a car has lots of moving parts as well!). Although buying a company is a great deal more complicated and the risks are also correspondingly greater, advice commonly provided to car buyers can be useful to remember in this transaction as well. Below are three common tips provided to people considering the purchase of a new vehicle and how that advice can work during a merger or acquisition. When deciding to buy, leverage the vast amount of public information available. For example, when buying a car, read online reviews to help you pick a car and dealership. The internet can provide a great deal of useful information on the reliability of cars you are interested in and how fair and honest a particular dealer is. This is also true of a potential acquisition target you may be interested in. In both cases, a great deal of preliminary information can be obtained without a lot of expense. In addition to the formal due diligence your legal counsel will conduct when buying a company, a simple Google search can provide a general idea of how a company’s customers and employees regard the company and there is a wealth of public record information available as well. If the seller is doing business in a large number of states, a review of the data available on the Secretary of State websites can let a potential buyer know if the company is properly registered and completing the basic obligations, such as filing their annual reports. However, knowing how and where to search all these government agencies can be time-consuming and tricky! A knowledgeable service provider working with your counsel can assist by gathering this information and providing it in a consistent and easy to read format. For regulated industries, such as insurance agencies, engineering firms or contractors, licensing information is often available online, showing whether the company is properly licensed to carry on its activities and sometimes providing a history of disciplinary actions or complaints. This helps inform the buyer of potential pitfalls and liabilities they could acquire along with the company. Not discovering that a company isn’t properly licensed for its activities until after the deal is completed can create a major issue for the buyer. Met Life discovered this in, 2014, when it agreed to a 60 million dollar fine issued by the Department of Financial Services for the unlicensed activities carried on by two companies it had acquired from AIG[i]. While an online search would not have provided the level of detail needed to determine whether the companies were properly licensed in this case, it can, nevertheless, be a helpful way to gather preliminary information to help make an informed decision on whether to proceed further. When buying a car, determining how much the car will cost you over time (and not just considering the purchase price) can help you determine if the vehicle is right for you. This is good advice for any major purchase, including acquiring a company. Ownership costs for a car include things like fuel and cost of repairs and maintenance. For a company, in addition to things like real estate, pensions and property, there are existing debt and potential liabilities to consider. Here again, the public record can help the buyer understand the full cost of the acquisition. When buying a used car, it’s important to ensure that the title is free of liens. Similarly, attorneys involved in mergers and acquisitions will do a number of public record searches to help paint a financial picture of the target company. Searches for Uniform Commercial Code financing statements indicating the existence of secured loans should be done in the entity’s state of formation and anywhere the company may have fixtures (personal property attached to real property). The public record should also be searched to determine whether the company has any tax liens. Both federal tax liens, which can be filed in the state where the company’s headquarters is located or anywhere it has real property assets, and state tax liens, which can be registered in any state where the company has taxable activity, should be searched. Searches are also done to determine whether there are any judgments against the company or pending lawsuits that may bring about future liabilities. If the seller is doing business in a large number of locations, the number of searches that need to be done can be quite extensive, but are absolutely necessary to ensure that the risks of the purchase, that is the overall ownership costs, are understood before the deal is made. 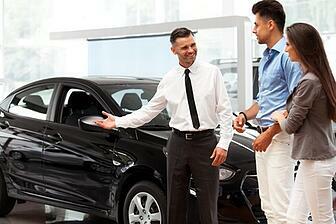 Lining up the financing for the purchase of a car or a company is an important consideration. In both cases, the lender will want to support that the value of the collateral is sufficient to justify the loan amount. Lenders will also conduct due diligence on the credit worthiness of the purchaser. For the purchase of a car, an individual will have to provide proof of identity and have a high credit score from the standard credit agencies in order to obtain the most favorable interest rate for the car loan. The purchaser of a business will typically be another company. In this case, the lender will verify the legal existence and good standing of the company along with the other credit and rigorous financial screening. This company verification is also done via a public record search. The company’s registered agent can assist with these searches and deliver evidence of existence and good standing. When these deficiencies are not found until a day or two before the closing is supposed to occur, it can create a lot of unnecessary expense, difficulties, and sometime force the closing date to be postponed. While in some states like Delaware, these difficulties can be remedied fairly quickly, in others, the time frames are much longer, especially in the case of delinquent tax returns or the need to reflect a conversion in the home state. Even when the situation can be remedied quickly, hefty expedite fees usually apply. One way to ensure these sorts of issues don’t delay your closing or create unnecessary expenses is obtain the good standings a couple of weeks before the closing and also determine what annual reports are coming due before the closing is to happen. This type of entity compliance audit will help to ensure that these administrative but important filings are not forgotten during the excitement of the acquisition. Bring-down searches, indicating that the public record shows the company’s registration continues to be active and in good standing in all states can be provided on the day of closing to support the legal opinion of good standing. Taking the time to “test drive” the seller’s status in this manner can make the closing of the deal much smoother! There is of course, a great deal more involved in buying a company than we have reviewed in this short piece and it is much more complex, expensive and risky than simply buying a new set of wheels. Still, tips that apply when purchasing a vehicle can be sound advice when negotiating an acquisition or merger. A service company with experience in searching public records, determining licensing requirements and obtaining corporate documentation can be an invaluable partner when you are taking a company out for a “test drive”.